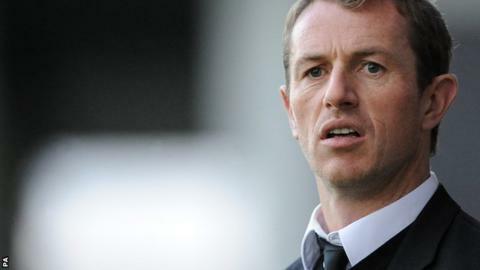 Burton Albion manager Gary Rowett has said making the play-offs is a fantastic achievement for the club. The Brewers' hopes of automatic promotion were all but ended with a 1-0 defeat at Bradford on Saturday. But Rowett told BBC Radio Derby: "I'm proud of the lads. What they've achieved is absolutely amazing when you look at the clubs in our division. "We always knew that automatic promotion was going to be out of our hands to a certain degree." The 39-year-old said his side had "punched above their weight massively" and his focus is now on the Brewers' play-off matches. "It'll be nice to put a performance in against Gillingham on Saturday but it won't really be that important," he admitted. "What will be important is what team we put out and what we do in the first leg next Thursday. We'll be as highly motivated as we always are and we'll make sure we give it everything we've got."